The inspiration for the digital transformation of Snuggle Mountain (Clarion, 2003/PicPocket, 2011) from a hardcover picture book into an app happened when I found out the original picture book was going out of print. I’ll never forget this one little boy, sighing, when I finished reading and saying, “That was the best book ever.” I tell you, those little uncensored reviews are like chocolates for the spirit. In December 2007, I heard that Clarion had decided to let Snuggle Mountain go out of stock (that’s sometimes the step before going out of print). I thought about getting the rights back then and finding a smaller publisher to print a softcover version, but I was about to start the MFA in Writing for Children and Young Adults program at Vermont College of Fine Arts (VCFA) and I wanted to focus on craft, not publishing. At my second residency at VCFA in January 2009, Jean Gralley came to speak to the students and faculty about ebooks. Basically, Jean’s talk was about the gigantic possibilities of picture books in the digital format. In the discussion afterward, Jean acknowledged that some people are quite unhappy about ebooks because they think that ebooks and screens spell the death of picture books. I remember Tim Wynne-Jones saying that people had the same fear of television killing theater. It didn’t happen. Jean’s presentation didn’t spell doom to me. In fact, it kind of set my brain on fire. I love the possibilities of interactive screens as a way for kids to explore words and images and ideas. Yes, I still love the lap and the print picture book and turning the pages. For me, it’s not an either/or situation. It’s both. Our world is changing, and it now includes both paradigms: the page and the screen. Sure enough, while I was immersing myself in the MFA program at VCFA, the digital world was rapidly expanding. The IPhone debuted in 2007. Likewise, the first ereader. Other smart phones flooded the market. Kindle and Nook arrived on the scene. In 2010, the iPad debuted and Amazon announced it was selling more ebooks than hardcover books. 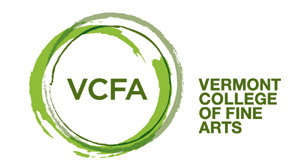 By the time I graduated from VCFA in July 2010, the world of books as we knew it was undergoing a sea of change. And the tsunami of apps was just beginning. Remember that expression, “Is there an app for that?” Remember way back in 2010, when we’d ask that question, wondering if someone had designed a tool, an app, to, say, find a parking space, scan bar codes for price comparison or tell us what song was playing in an elevator? While all of these reading platforms were changing, there was another game changer: the app. Apple, in particular, was focused on this thing called an app. At first, most people were using apps as tools or games, but the app is a fundamentally multimedia experience and that is why it lent itself to picture books. The difference between eBooks and apps is simple. eBooks are text heavy/image light. They are a cost-efficient way of making your book available on a multitude of eReading devices, from a variety of retailers, thanks to the ePub format. The app can be an in-depth reference guide, a great tool, a game. It can combine art and text, sound and movement. It is multifaceted, and the app market exploded when smart phones became the device to carry in your pocket. Picture books can be eBooks, but they don’t, in my opinion, work very well because what you see on the screen of an eReader is one page. That's fine for the text-only reading experience. But picture books, as we know, are a much different species. Illustrators use the entire two-page spread to tell a story. They play with the gutter. They think about the placement of words on the page. Every page, every spread, is a complete work of art. Picture books don’t work very well on eReaders because you can only see one page, one half of an illustration. Apps are another story. Apps take the artwork on the two-page spread and fit it to the smartphone or tablet screen. Apps could at last do justice to the artwork in picture books. Right after I graduated, I got busy getting the rights to Snuggle Mountain reverted to me. Thanks to you, Cyn, I went to Aimee Bissonette of Little Buffalo Law. She looked at my rights reversion clause in my contract with Clarion (an imprint of Houghton Mifflin Harcourt) and helped me write the official reversion request letter. Aimee was prepared to step in if there were any problems, but there weren’t. Clarion was most gracious, and the rights reverted to illustrator Melissa Iwai and me in January 2011. At that same time, a coalition of respected children’s trade book authors’ and illustrators started a blog called e is for book, focused on experiences developing their books for electronic media. (Thank you, Greg Pincus, for announcing their debut.) Their blog posts helped me understand the difference between eReaders and apps. I was intrigued by success stories like the transition of Elizabeth Dulemba's picture book Lula’s Brew into an iPhone and iPad app. One of the posts talked about PicPocket Books. I contacted Lynette Mattke of PicPocket and sent her one of the few remaining copies of Snuggle Mountain. She loved it. Melissa and I liked that PicPocket was dedicated to keeping the integrity of the book. Apps have the inherent temptation to become more of a game. 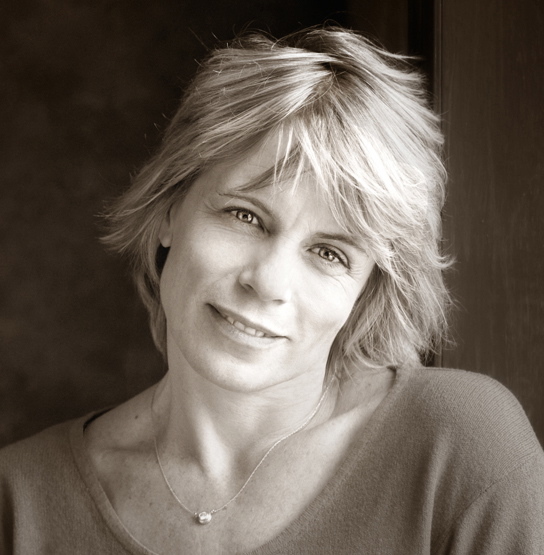 Lynette made the choice to remain true to the books she develops into apps. She told us up front that if we were more interested in games, then we should look elsewhere. Melissa and I talked later, and we agreed that PicPocket felt like a good fit. At the time, PicPocket had done about two dozen apps and Lynette had started MomswithApps, a collaborative group of family-friendly developers seeking to promote quality apps for kids and families. We did explore other app developers. In fact, it was kind of crazy for a while because it seemed like every other day, there would be a new app developer popping up. We went with PicPocket because, as I said to Melissa, we were just getting into this big e-stream, why not be with a boutique developer and figure it out as we go along? So that’s what we did. We signed the contract in March. I immediately wrote little bits of dialogue for my protagonist, Emma, to say in addition to the text on the page. Meanwhile, Melissa was working her magic with the illustrations and getting them to fit the iPad and iPhone format. She also animated some of the art work (e.g. the wagging dog tail) and put little eyes in the bed covers to enhance her already brilliant design, which involved hiding the giants' faces in the wrinkles and folds of the covers. In April, I had a Skype visit with the Lynette in which she basically showed me the Snuggle Mountain app on her computer. It was amazing. One word of caution: because apps are applications (read: software), you really need to check all the bells and whistles that your app offers. Software formatting errors are the digital version of typos. The good news is app updates are pretty normal, and they can fix your ‘typo’ with ease. We signed a contract in March, and the app was available for purchase in May. In the traditional publishing world, the standard advice is to try to sell your first print run in the first year your book is out. Having an app is different. You still need to do marketing every day, but you don’t have books taking up warehouse space so the pressure is a bit different. In a way, there’s more freedom. 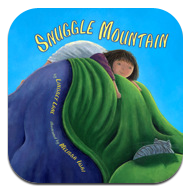 Also the price point (Snuggle Mountain IPhone app is $1.99 and the IPad app is $2.99) is hugely different. I remember preparing for an airplane rides with my daughter when she was a toddler. I would stock up on little toys to keep her occupied on the plane. Now parents can tuck a few book apps on their smart phones or tablets for a trip. It’s kind of exciting, figuring out new ways to promote your book as an app. Currently, I am working on a trailer for the Snuggle Mountain app, tweaking my website to feature the app, and doing guest posts for blogs. I am also looking forward to taking this new format into schools and libraries. On Oct. 8, Austin SCBWI is presenting a symposium called Storytelling in the Digital Age and I’m thrilled to be one of the speakers. 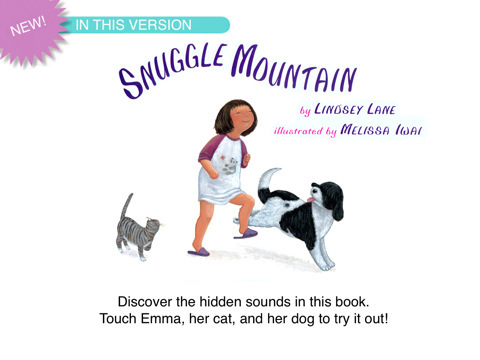 Enter to win one of three Snuggle Mountain apps (IPhone and IPad users only). To enter, comment on this post and include an email address (formatted like: cynthia at cynthialeitichsmith dot com) or a link to an email address. Or you can email Cynthia directly with "Snuggle Mountain app" in the subject line. Author sponsored. Deadline: Sept. 26. 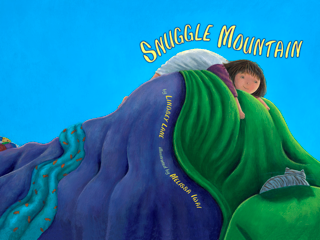 I've loved "Snuggle Mountain" since i first read it. So glad that it will live on as an app. Thank you for this helpful information. I plan to e-publish a book titled TANNER TRUCK AND BELLA TREE: A CHRISTMAS FABLE OF HEALING FROM GRIEF in the next week or so. I didn't know any company that was creating Apps for picture books. I designed it to work on Kindles and other e-readers. It would be fun to have it interactive at some point. Varsha, I'm likewise a long-time Snuggle Mountain fan. So exciting to see it find new life as an app. Marilyn, congratulations on your upcoming e-book! Stacy, I'm so glad you found the post interesting and useful. Thanks so much for passing on the link--most appreciated! Stacy, Thank you so much for sharing. I has truly been a wild ride and I'm so happy to share it with everyone. Thank you for passing it on. Marilyn, yes, big congratulations on making the leap to digital. Varsha, I think 'Snuggle' and 'Kisses' should be a boxed digital set, yes? Lindsey, thanks again for sharing your journey and thoughts, and congratulations on your terrific app! Please stop by again as Cynsations readers continue to read and respond to this inspiring and useful post! My pleasure! Both books look adorable to me. This is the golden age of children's literature! Elizabeth, you are my inspiration. Congratulations on the latest conversion of Lula's Brew to ebook. You are really turning the digital pages. Another Snuggle Mountain fan here. Elizabeth and Lindsey, you're pioneers! Linds, thank you for the clear account of how the process worked for you. Lovely as always to see you here, Uma! Thank you, Uma. That's high praise and I appreciate it. Thanks for posting this article, such great information for those of us just learning about e publishing. So good that I had to post a link to it on my blog. Great information, indeed, Lisa! Thanks for the link--most appreciated! Ditto on the thanks, Lisa. I appreciate the link love. Thanks Lindsey and Cynthia. This is really useful, both in the description of you the book app was developed, and the handy links. I'll definitely be posting this on Facebook! So interesting to read about this book's journey from traditional print/illustration to app. Thanks, Lindsey and Cynthia. Please return in a future post with "chapter two" of the journey - how children respond to your app. Gail, I love the idea of inviting Lindsey back for an update down the road. Hm, I wonder how we could woo her? Tockla, thank you for spreading the news of the post on FB. I'm so glad you found it useful. Gail (and Cyn), Color me wooed. I will be making dates with elementary school librarians to see how present the app in school. I would definitely like to tell you how that adventure goes. Interesting approach to picture books... appreciated. I have been reading and working with ebooks since the mid 90's and the truth is that they are just now becoming accessible to the general public and still evolving. It's not generally known that reader apps such as the Kindle support including and displaying high resolution images. On the iPhone/iPad reader app, large images will be displayed at the maximum possible size for the screen, but can then be "spread" to full resolution in color to view details by scrolling. On the B/W Kindle devices, they can be zoomed to the maximum allowed by the screen size. I note this because Apps are limited to the Apple devices which limits the audience and more and more full color tablets are appearing every month most of which support readers for all of the platforms such as Kindle, Nook, Sony, etc. so, it is something to keep in mind when choosing a platform. Further, ebooks are essentially based on HTML source and HTML options such as internal and external links are supported to allow jumping to different parts of a work or out to something such as a YouTube video. Kindle also supports "embedded video" but it has not been widely implimented. It is going to be interesting to watch the evolution of book apps... exciting stuff.